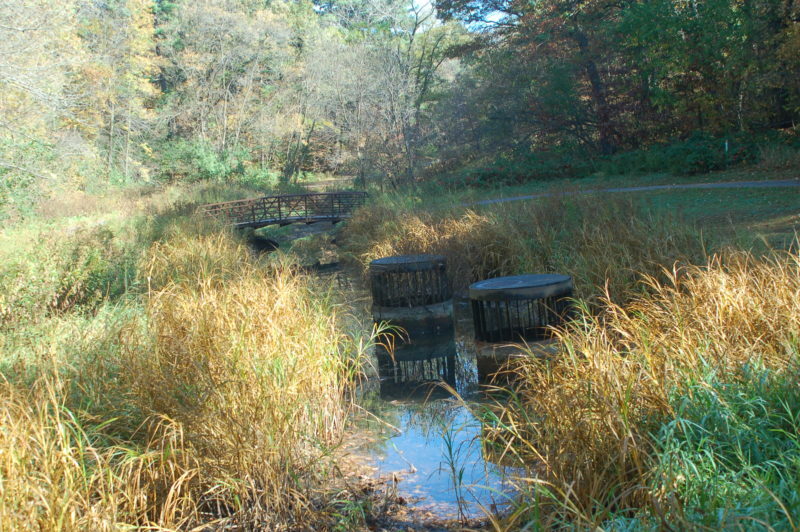 Since 1996, the District has cooperated with the Metropolitan Council to monitor the flow and water quality of Battle Creek. The Metropolitan Council monitors the water quality of Battle Creek as part of its Stream Monitoring Program. The monitoring station is located in St. Paul, near U.S. Highway 61, 2.2 miles upstream from the creek’s confluence with the Mississippi River. The program samples a number of dissolved and suspended solids, and performs a macroinvertebrate count on the creek. The most recent data available is from 2012, and is summarized in the 2014 report published by the Metropolitan Council. Click here for the Battle Creek fact sheet and here for the full Battle Creek chapter. 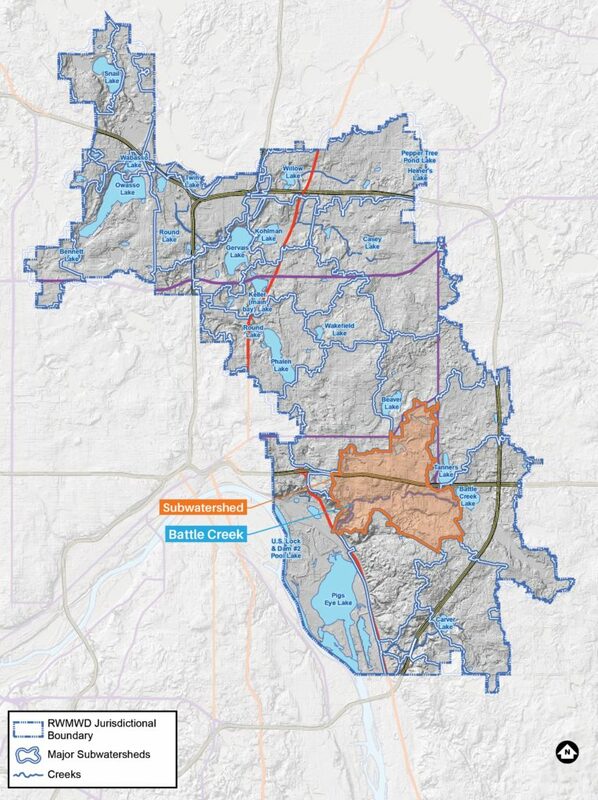 You can find detailed information on Battle Creek and its tributary area in our watershed management plan.